Stay tuned for upcoming events for One Day for Yourself in near future. 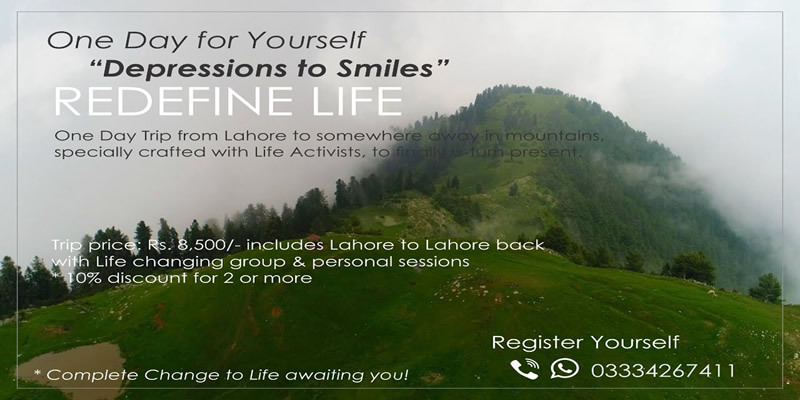 One Day Trip from Lahore to somewhere away in mountains of Islamabad, specially crafted with Life Activists, to finally u-turn present. Live Life Fully Club aims to re-balance life before it gets worse, re-connect life before any breakups, and re-energize life before any addictions! Best Viewed at 1024 x 768 pixels and above. This Page loaded in 0.06364 seconds on Tue, Apr 23, 2019 (20:55).